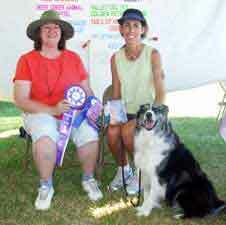 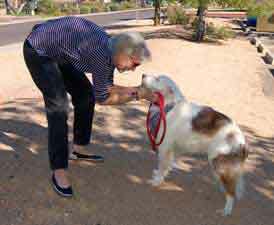 WHITE GSD RESCUE HELPS OTHER DOGS, TOO! 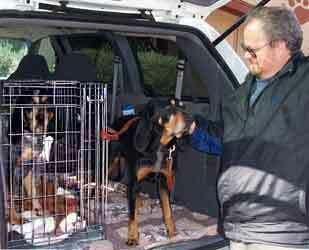 One of our staff members helped 2 schipperkes, Rico and Blackberry, get to their new home with Mark and Terri on the east coast by transporting them from Phoenix all the way to Maryland! 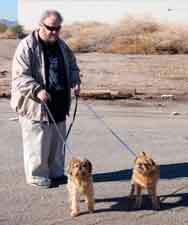 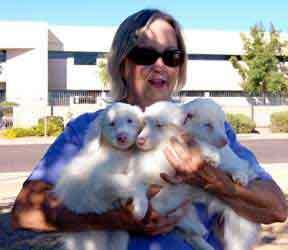 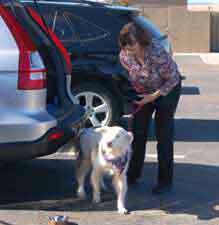 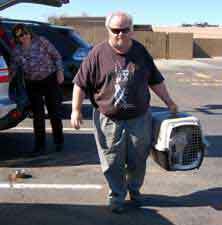 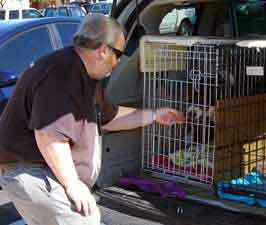 Bert & Nancy helped transport a surrendered poodle named Jessie from Prescott to her foster mom, Deb, in Phoenix. 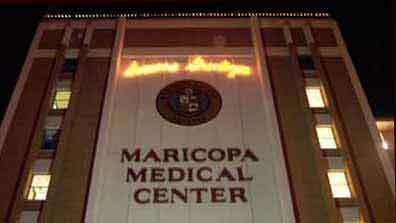 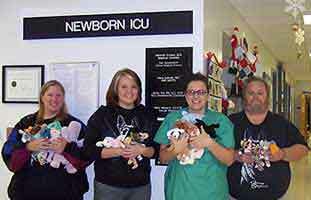 ...and the Newborn ICU was presented with over 100 Beanies! 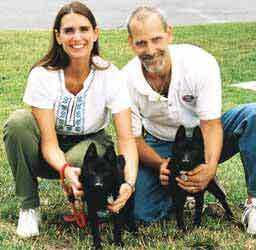 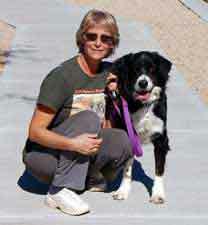 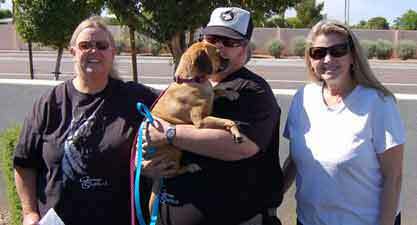 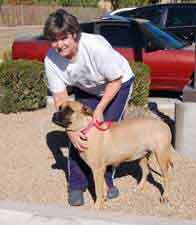 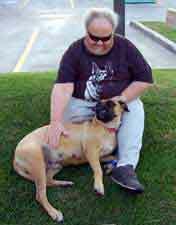 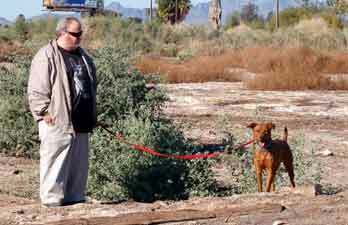 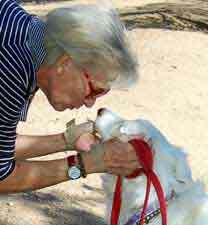 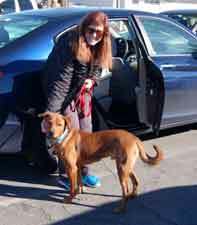 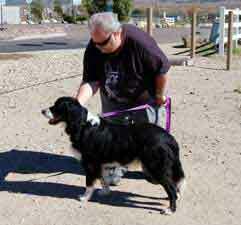 Nancy & Bert help Petunia Puggle (a beagle pug mix) on her journey through Arizona. 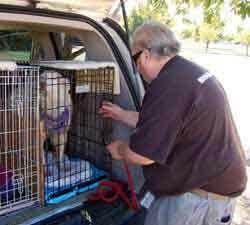 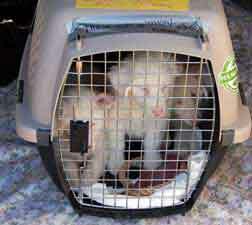 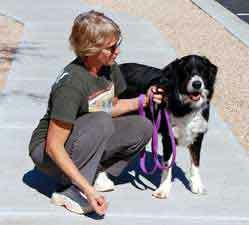 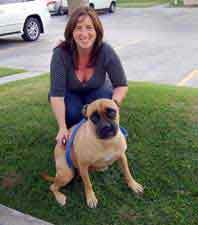 Petunia was rescued in Tulsa, Oklahoma, and was making her way to San Diego to a rescue group. 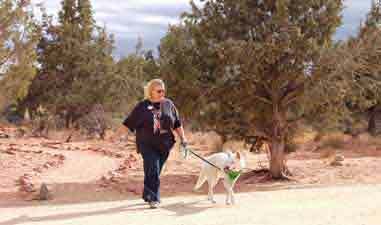 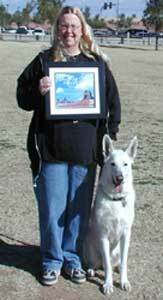 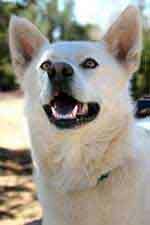 After taking Gavin for his first walk since arriving at Best Friends Sanctuary in Kanab Utah, White German Shepherd Rescue decided to sponsor Gavin until he finds his forever home.